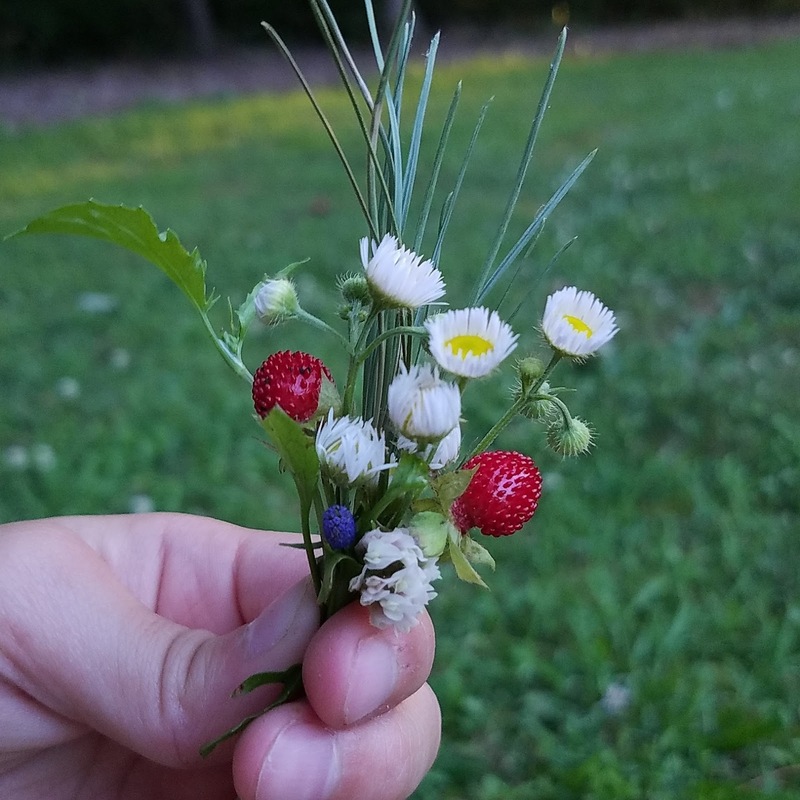 Our little girl took a walk with me this evening and and had fun making wee bouquets. I love the variety and the compositions. 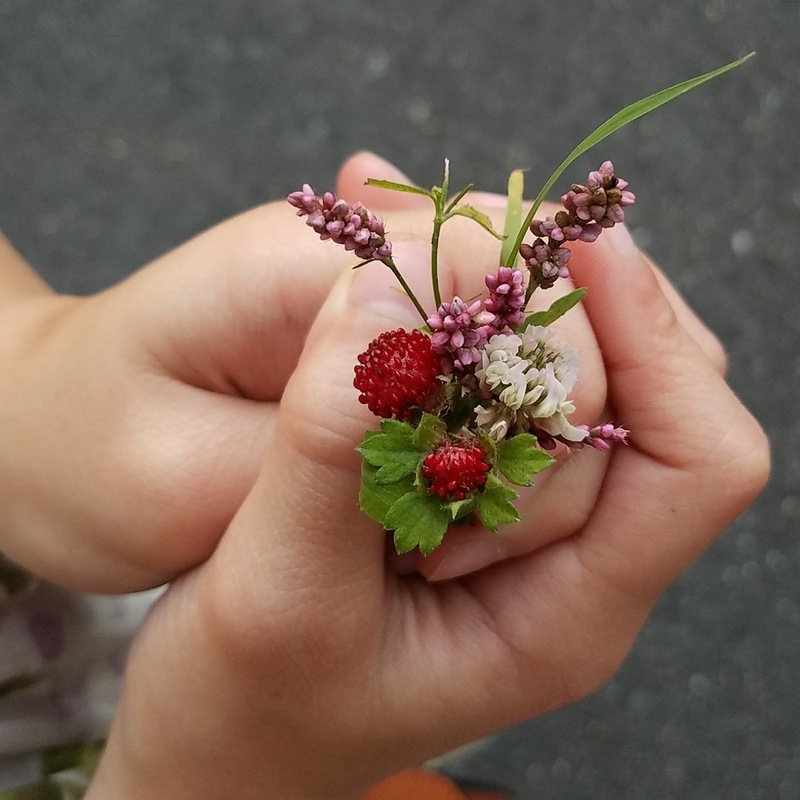 My especial favorite are the wild strawberries she picked. This little bouquets remind me of something Anne Shirley might have done. They are really sweet.